Flax Farm cold pressed linseed oil (flax) is made the way it should be: fresh and properly cold-pressed from the very best, non-GM, linseed. It tastes mild and lightly of linseed. Cold-pressed linseed (flaxseed) oil is rich source of omega-3. Flax Farm cold pressed linseed oil is approximately 55-60%. Cold-pressed linseed oil is exactly the same thing as flaxseed oil in the UK. To use cold pressed linseed oil to get a good level of omega-3 in your diet the starting point is about 1 teaspoon per day. If you are trying to address specific health concerns you may want more, even a tablespoon or more. 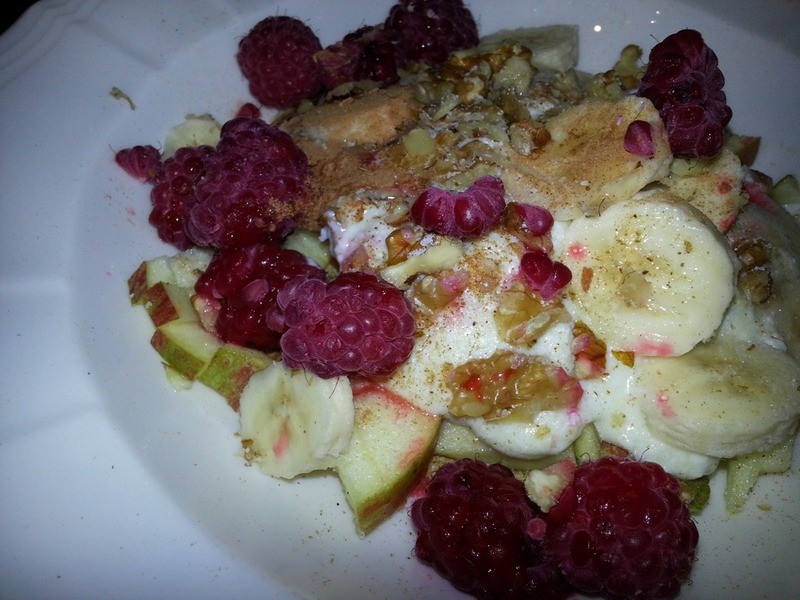 It tastes nice so it is easy to incorporate into everyday foods. Some special diets incorporate large amounts of cold-pressed linseed oil. Flax Farm cold-pressed linseed (flaxseed) oil is suitable for these special diets and protocols and they have useful suggestions for using linseed oil. OMS program is a healthy lifestyle diet. It prescribes between 20 ml and 40 ml of cold-pressed linseed oil per day but no saturated fat or omega-6 vegetable oils. Linseed oil is a great asset to the diet and can be used to keep food rich and succulent and to replace other fats in many foods. Flax Farm’s cold-pressed linseed (flaxseed) oil is a great way to get the benefits of omega-3. Our cold-pressed linseed oil is a very rich source of omega-3 which is the good fat, we usually associate with fish. Omega-3 is essential, which means our bodies can’t make it so we have to get it ready made from food or supplements. The lovely mild flavour of Flax Farm cold-pressed linseed makes it very pleasant for young children who often prefer the flavour to olive oil. At markets we find small children, especially little boys, are very enthusiastic about trying our sample oil; often until all sample oil oil and bread is gone! As people hit adulthood using linseed oil can help maximise your nutrition and help you cope with the stresses of adult life, helping keep you you healthy and active even through retirement. 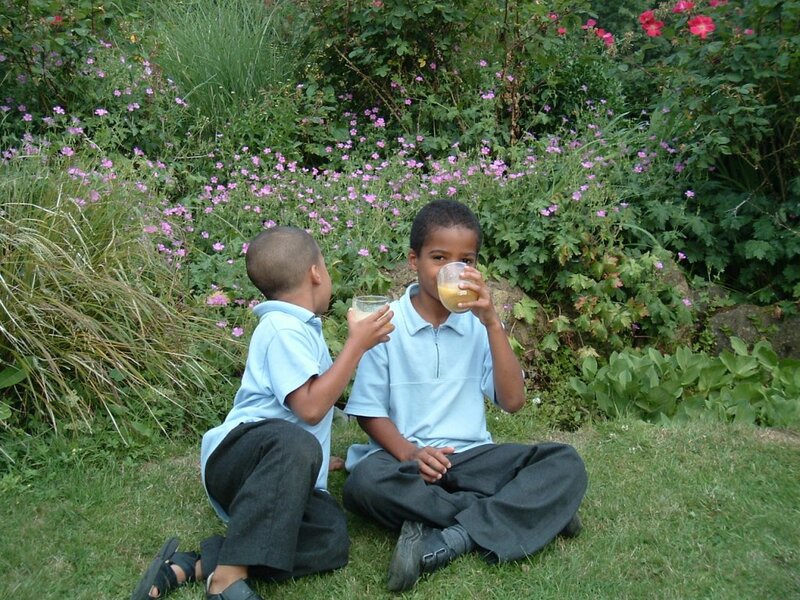 With so much growing to do and developing brains omega-3 is essential for children’s development. Many parents find incorporating Flax Farm’s linseed into their children’s diets an easy way for them to get enough omega-3. Linseed oil is a food for the whole family. It is easy to get your omega-3 to healthy levels by adding linseed oil to everyday foods. Easy to make and easy to use recipes on the recipe pages. Middle age – keep that healthy youthful vibrancy and function throughout the whole body. Supple joints, strong bones, energy levels, concentration and mood. Many mature adults find linseed oil a beneficial food because of it’s high omega-3 content and much nicer than getting omega-3 from fish oil or cod-liver oil! If your health is letting you down try incorporating Flax Farm linseed oil for omega-3 to support your all over wellbeing. Some people find Flax Farm linseed (flaxseed) so beneficial they take it off a spoon. With its lovely mild nutty taste it is even better when you incorporate it into food. Even though you’re cutting down on naughty fats Flax Farm linseed oil will keep your meals tasting great. See our recipes for lots of healthy omega-3 rich recipes made with our lovely cold-pressed linseed (flaxseed) oil. Essential fatty acid, ALA, alpha linolenic acid. Most of us get too much omega-6, (linoleic acid) in our diets. We get omega-6 from almost every food we eat, dairy, vegetable oils, meats, bread, oats, salad dressing, restaurant meals, cakes, snacks and ready made meals. Omega-3 is hard to come by in our diets which is why we often feel so much better when we increase the omega-3, which improves the omega-3, omega-6 balance. Omega-3 and a healthy ratio of omega-3 to omega-6 is important. Use Flax Farm Linseed Oil in food instead of sunflower/corn/rapeseed oil, butter or cream or even as a omega-3 rich supplement to add to or instead of some of your olive oil. As linseed oil is rich in omega-3 don’t overheat, fry or roast. 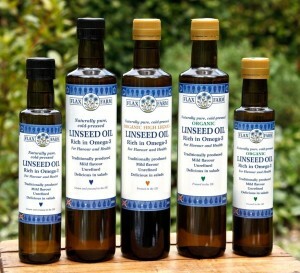 Flax Farm cold-pressed linseed oil is the very best in linseed oil: exceptional quality, sweet and mild flavour. Fresh, unprocessed, and in protective dark green glass bottles. Remember you need to use your linseed oil to get the benefits from it. It’s not for storing at the back of the cupboard; it’s for using. Store it where you will see it and remember to use it regularly.